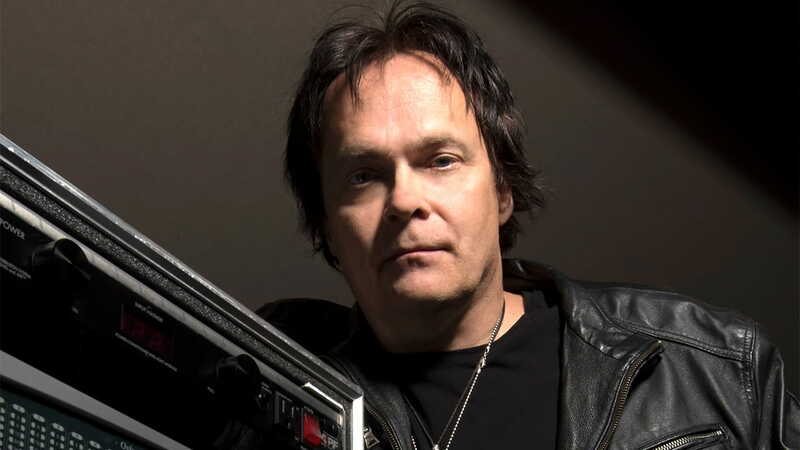 With a career producing, recording and mixing over 50 platinum and gold albums, producer/engineer Richard Chycki is the go-to modern-day studio warrior for rock titans like Rush, Dream Theater and Aerosmith. We got Richard to share some of his key mixing and recording strategies, discuss his pioneering work remixing classic Rush albums for surround, and tell us which tools are most indispensable to him in his work. Richard, how do you approach something like Rush’s original “Tom Sawyer” or “Limelight” sessions when remixing from stereo to surround? Where do you begin with such classic recordings? I grew up listening to Rush, so there was the excitement factor there as well as a deep familiarity with the material. The first thing I did was just listen. I got intimate with the album because I wanted to understand all of the sonic assets and how they were originally fitted together. Once I acclimated to the music, I would pay attention to the placement of instruments in the stereo field, the position of synths, and the use of reverbs in the original mix; and then, more or less, I would reverse-engineer it into 5.1, with attention to motion and placement. Mixing in 5.1 is about very subtle adjustments to add a sense of space. I’ll have things that take up the entire sound field, some pieces that are subtly placed, and then some elements with extreme placement. The combination of them all works together to make an interesting album that pays tribute to the original. For remixing from stereo-to-surround, on some of the stereo pads and synths, I would upmix with the UM225 plugin to get some spread throughout the entire field. Or, if I wanted to get some extra sub action, I would use the UM226 for an upmix. Those are fantastic for upmixing and interpreting spreads into surround. Another thing I would do is take an H-Delay, and use it in the surround mix. It’s all about where they’re placed in the 5.1 field. I’ll often use multiple instances of them. Say I have an H-Delay panned to the left or right front speakers, and then have another instance of H-Delay that’s panned to the rear speakers with a slightly different setting. It creates a wonderful wash of sweeping surround delays. Waves Nx technology is an interesting development – with one of the noted features being the monitoring of 5.1 or 7.1 surround mixes virtually via headphones. My Rush mixes, done with a classic 5.1 speaker array, preceded this technology, but it's interesting to experience the surround soundfield sensation using headphones to revisit them. You’ve also recorded and mixed Rush’s modern-day albums. Here’s a question that must be on every Rush fan’s lips who’s also an audio engineer: How do you mix, not only one of the greatest drummers, but also one of the biggest kits in rock music? Mixing a really huge drum kit is really the same concept as what’s done in film mixing, where you have a lot of assets that are simplified in to subgroups. Neil [Peart]’s kit would be a great example where I’ll have multiple kick drum mics that funnel down to a stereo subgroup. Neil has two different snare drums that have top, bottom and sometimes side mics, depending on what the project is. I’ll funnel those down to a subgroup, too. Neil also has eight toms, and those will funnel down to a stereo subgroup. Then I’ve got a bunch of spot mics for all of the small cymbals, and those will funnel down to a subgroup. Next are his overheads, and those will funnel down to stereo subgroup. And then I’ll have ambience room mics, and those will go down to a stereo subgroup. All of those subgroups are processed individually and then route to another subgroup, which is my kit mix. So really, you just go from a bunch of tracks to sub and then a bunch of subs to another sub. It’s just good prep work, simplifying it so the larger mixes are more manageable by the time you get to the end. One of the plugins I’ve been using quite a bit lately on this type of setup with multiple drum subgroups is the F6 dynamic EQ. Rather than automating a bunch of EQs, which is time consuming, I set the F6 carefully to do a lot of the heavy lifting, so I can concentrate on the music and not have to worry about elements that poke out of the mix. The F6 will go in, grab it and take care of the problem. If there’s an extra peak that the drummer might hit extra hard, or pull up stuff that’s a little soft, it’s a powerful tool for taking care of that. It draws me a road map so I can get to my destination faster. As a recording engineer, how do you capture and maintain the essence of a legendary guitarist like Alex Lifeson? When working with musicians like this, I’m going in well-prepared and I already have a good understanding of what that player is doing. Also, the fact that I’ve been listening to guys like Al, Joe Perry or John Petrucci for years helps too. A guitar player will come in and want their tone translated accurately to the listener. My job is to make the listener feel the same performance the guitarist is feeling. Otherwise, I stay out of the way, not trying to affect what they do. I like to capture a lot of detail. When I was working with [Alex] Lifeson on Rush’s latest studio album, Clockwork Angels, we set up a massive line of different amps mic’d with different mic combinations — sometimes using single amps, sometimes a combination of amps depending on what tone was needed for the song at that point. There were a lot of variations going on. Typically, what I’ll do is I’ll combine two or three mics on a single cabinet, and I’ll submix the amp and cabinet combinations down to a single track. I try to capture as many ideas as possible during tracking. This way, I can check different combinations, the artist doesn’t have to wait and the process keeps flowing. So, I’ll try and set up as many possibilities at the beginning, and have the artist come in and let them do their thing and create their own magic. Then I can go in during the mix stage and do what I do. At the mix stage, I like to use H-Reverb for adding tight guitar ambiences. A technique I use often on guitars for articulation and detail is with the CLA-3A compressor: just a touch of gain reduction of about 1–3 dB can really add a bit of meat to a guitar and help it pop out of a busy mix. In terms of corrective EQ in a mix, I’m again using the F6 dynamic EQ a lot now; it can add bottom end and body to a guitar but at the same time, it backs down the low-end for palm mutes to control the woof. So you’ve been talking about the F6 as a problem-solving tool for guitars and drums in the mix stage, which brings up the question: If you have all these tools available for you to fix it in the mix these days, are you ever tempted to just record everything and deal with any fixes or, say, phase issues later in the mixing stage? You know those really long rugs you have in a long hallway? You grab the rug at the end, yank it, and you create a wave in it. That wave travels all the way down the carpet and it affects everything down the hallway. It’s a chain reaction that I prefer to avoid so I try my best to capture the source right at the beginning. Same when recording. Sure, if you run into a problem then you’ve got the tools like the F6 to the fix it in the mix. Still, let’s say you’re recording and you have phase issues with the drums. Then you record bass, but you don’t know if the bass drum is aligned; your whole judgment is going to be skewed because your drums aren’t right. You’re now building on a crooked foundation. It really doesn’t take that much longer to listen, say, to a guitar amp and go, “You know the phase of this isn’t quite right!” If you then take the microphone and move it into a better position, it means you’ll likely have to EQ less. It saves time later. Plus you have a better idea of where you’re going creatively. And the artist has a clearer picture of where they’re going. If they’re listening to the drum kit and it’s slamming, and the phase feels good and there’s no audio conflict going on, they feel good and they perform better. So with all the multiple amps, cabs, massive drum sets, what do you do about phase coherence? What tools do you use to handle this? The main tool that I have is a tape measure. Crazy, huh? (Laughs) I use a tape measure for placing overheads and other ‘core’ mics, so that they’re equidistant from the center of the snare drum. When I was setting up for Rush to record Snakes & Arrows, Neil [Peart] came to the studio early to start warming up and I was just starting to mic up his drum kit. I would align the overhead so that the snare stayed in the center field if I turned up the overhead mics. And sometimes I’ll turn them slightly so that the kicks and snare stayed as close to the center as possible. As far as phase coherence goes, I will do multiple takes of snare hits, kick hits, and just look at the phase of the mics. I’ll listen and adjust them both accordingly at the same time because sometimes, especially with modern recordings, having a bit of phase deviation in the kick drum, you might all of a sudden get a node in the lower-mid range where there’s a dip as a result of phase. And that is a form of EQ, really, because all of a sudden you’ve got this big cut. And it might be a frequency where you want a cut, and that’s okay. So I don’t want to give the idea that everything has to be absolute positive phase. It’s all about listening and altering placement. Consider this: If you’re standing in front of and looking directly at a drum kit, from your perspective the snare is going to be slightly to the right. What I’ll end up doing is I’ll slightly turn the overheads a few degrees. If you think about it, if you put an imaginary line over the snare and kick drum and create like a center line, it would not be exactly perpendicular to the front of the kit, right? It might be at like a one o’clock position as opposed to high noon. Try turning the overhead slightly to have the kick and snare image feel centered, because typically when we’re mixing, we keep the kick and snare pretty centered. That’s one trick I’ll do so that the overhead image matches. Final question: If you could take a journey through time and space, go back and re-record or re-mix some of your classic albums with the tools we have now but didn’t have back then – what would you take with you? I’d take care of the stuff that used to cause real headaches. Like some of the multiband stuff. In analog it’s a nightmare because you’re dealing with crossovers, you’re trying to get three or four compressors that are linear to take care of that, but they’re not doing anything. 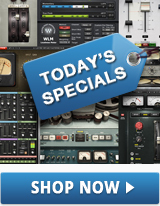 So I’d take the C4 or C6 Multiband Compressor – that would be a great to take back with me. Having the right tools for the job, and understanding what the job is – those are the two major things we do as engineers, right?